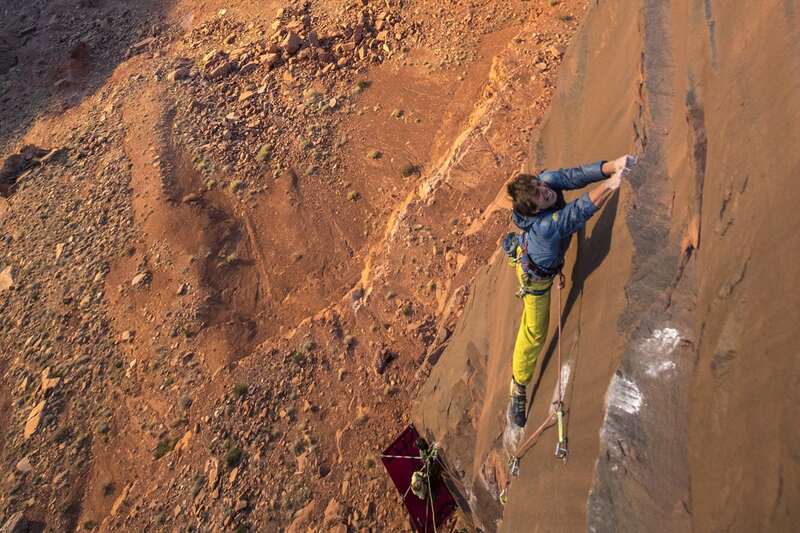 The dry barren landscape of Southern Utah is a safe haven for adventurous climbers and outdoor enthusiasts. Proud towers, buttes and mesas pierce the skyline of Castle Valley blocking a clear line of sight to the horizon. Tires, worn from miles travelled, slow to a stop –– the crunch of sand and stone pierces the soft blur of my latest episode of Ted Talk, a podcast I’d recently discovered. As I pull off the deserted La Sal Loop road near Moab, I catch sight of Castleton Tower. The 600-foot freestanding tower is a staple for sandstone junkies, but today my eyes are drawn to a unique mesa called the Parriot. For a year I’d packed innumerable haul bags with new-routing equipment, ropes and rock pro to trudge up what barely qualified as a goat trail in an attempt to establish a free climb. 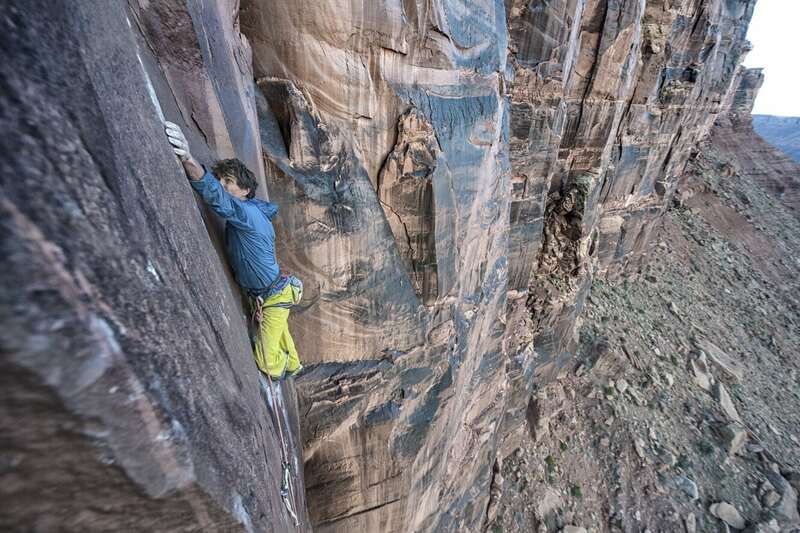 Micro edges, finger tipped cracks, and a blunt arête characterize an unfinished route left behind by desert legend Greg Child –– abandoned because he thought the climb was impossible. But, after inspecting the route from a rope, I thought otherwise and set to work on the 500-foot-high route. Intangible sequences linked seemingly blank sections of rock through tricky levitation techniques and voodoo—my excitement began to build as the crux fell into place. Due to the nature of the wall and its isolated location, finding partners to accompany me on the project was even more difficult than finding holds on the wall. I spent days on the climb alone, hanging from a rope trying to figure out the free moves that would unlock the wall. Being alone and in a place without cell service are two circumstances no first ascensionist wants: In an emergency, calling for help would be almost impossible. A crucial piece of gear, A SPOT Device, sat in the bottom of my bag. 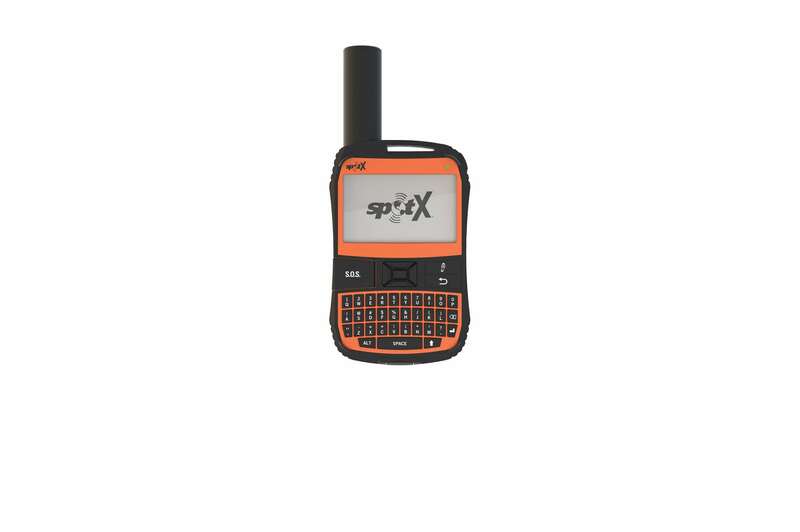 A SPOT gives your GPS coordinates and lets you send a message one-way for emergencies or general check-ins. Being able to call for help notify friends, relatives or rescuers where you are and what you need, gives me great piece of mind. At first, I was skeptical of carrying the device, but after a near fatal accident I realized the importance of communication in the middle of nowhere. Days on the wall turned to weeks as I tried to free the route. One day, after a long hike under a grueling sun, I stood at the base of the wall excited to jump into my harness and get to work. Maybe today I’d unlock the mystery of the wall. 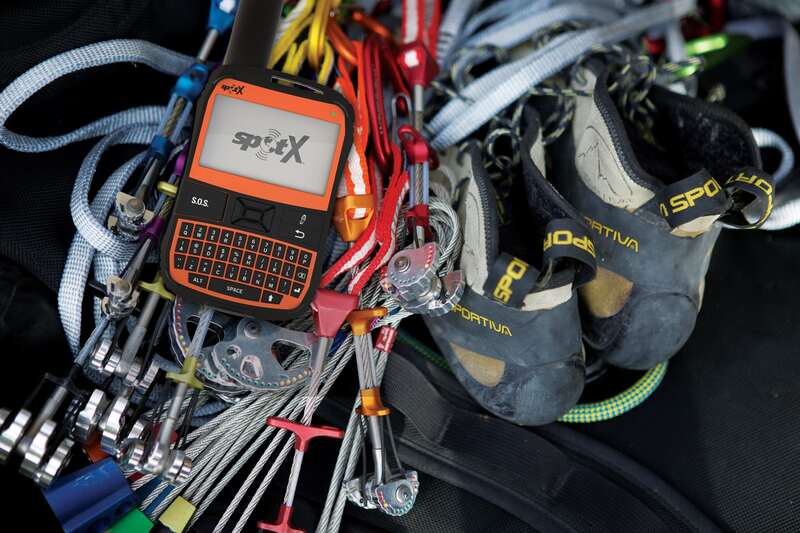 Going through my checklist, I stowed water, a snack and my SPOT device in my small climbing pack. I snapped my ascenders on the rope and jugged toward the crux of the route, about 300 feet up, where I planned to spend the day working out the moves. 250 feet above the base of the wall the route overhung and soon I was hanging in space. Then, two rope lengths above the deck, I felt the sheath of the rope give way—unknown to me the rope had rubbed against the rock and was nearly sawed in two. Just a few strands of its inner core were all that kept me from plunging to the ground. Hanging by those remnant strands no bigger than a shoestring, I tried to assess the situation. To my horror, I realized that to get back on the rock, I had to swing back and forth to gather the momentum I would need to reach in and latch the bolt anchor I’d placed in the rock 20 feet to my left. Gently, I began rocking back and forth. Each movement raked the few remaining pieces of rope across the saw of rock. After a few tense kips, I grabbed a bolt, clipped in and tied off the rope. Once my trembling hands calmed down I realized I was safe, I checked the rope. Only three strands of cord no thicker than a spinner’s yarn were all that remained. “I’m out,” I said and, using the good piece of rope that hung below me I rappelled to the ground. After an hour of sitting at the base and contemplating what could have been, I reached for my SPOT device and messaged my mom. “Safe and on my way home,” I said.